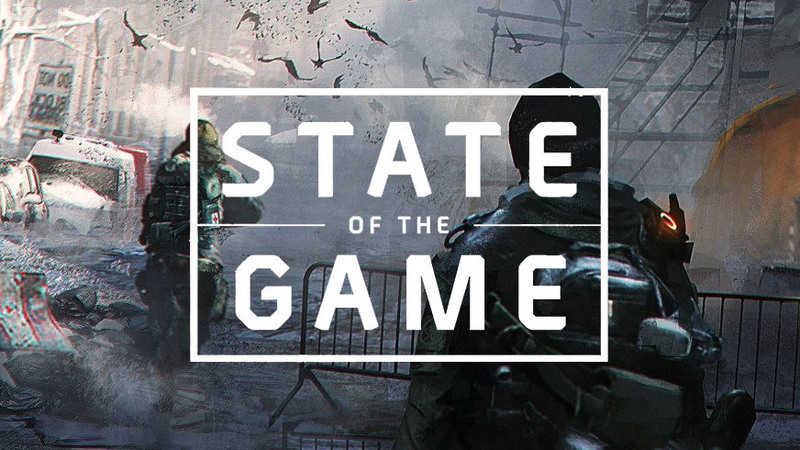 Yesterday’s State of the Game episode was short but concise and confirmed that Global Event Assault will be playable once again, starting next week Monday already. In addition, the by the community raised balancing concerns about the Striker’s Battlegear Gear Set will be addressed in upcoming weeks, same goes for the “Running Bug” fair players are currently plagued by in the Dark Zone. The free week of Underground has now ended. It was initially enabled to also give players who don’t own the DLC a chance to complete the challenges of this month’s shield, “Sacred”. Moreover, the during the server maintenance deployed commendation fix for “Fast Mover” will now progress as intended. 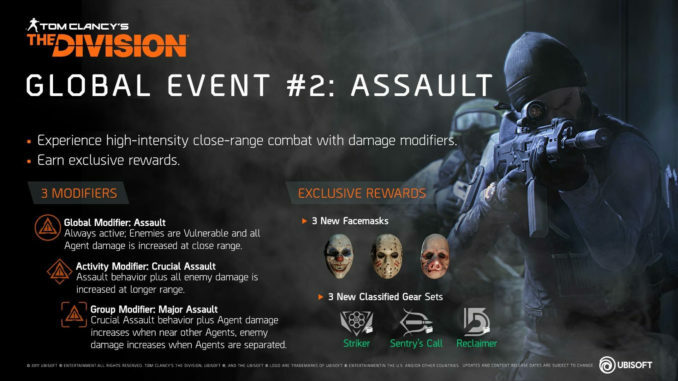 By completing these Global Event’s challenges, you can earn exclusive rewards, consisting of the Happy, Hockey, and Piggy facemasks – as well as Classified versions of the Striker, Sentry’s Call and Reclaimer Gear Sets. Always active; Enemies are Vulnerable and all Agent damage is increased at close range. Assault behavior plus all enemy damage is increased at longer range. Crucial Assault behavior plus Agent damage increases when near other Agents, enemy damage increases when Agents are separated. Please note that if you’ve already earned the Assault weapon skins and vanity outfit, leaderboard caches will not give new rewards. More information about The Division’s roadmap for 2018.